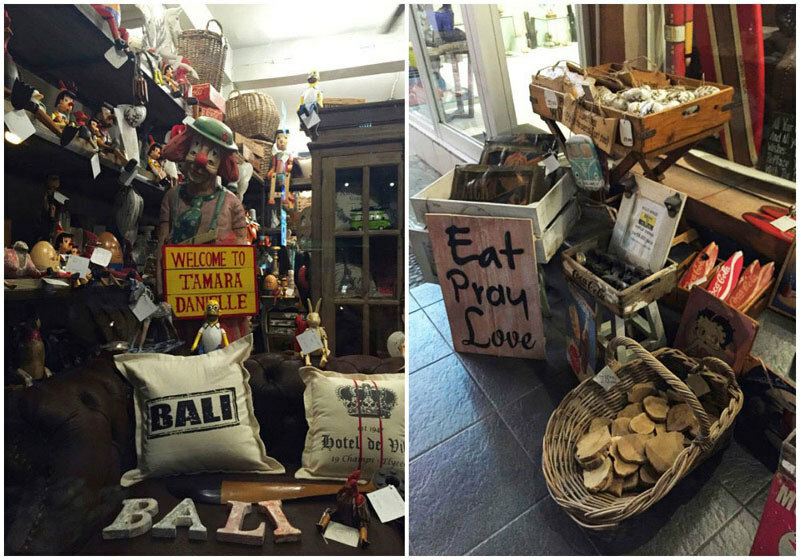 If you don’t already know, it’s a fact that Bali is paradise for furniture and homeware shoppers. 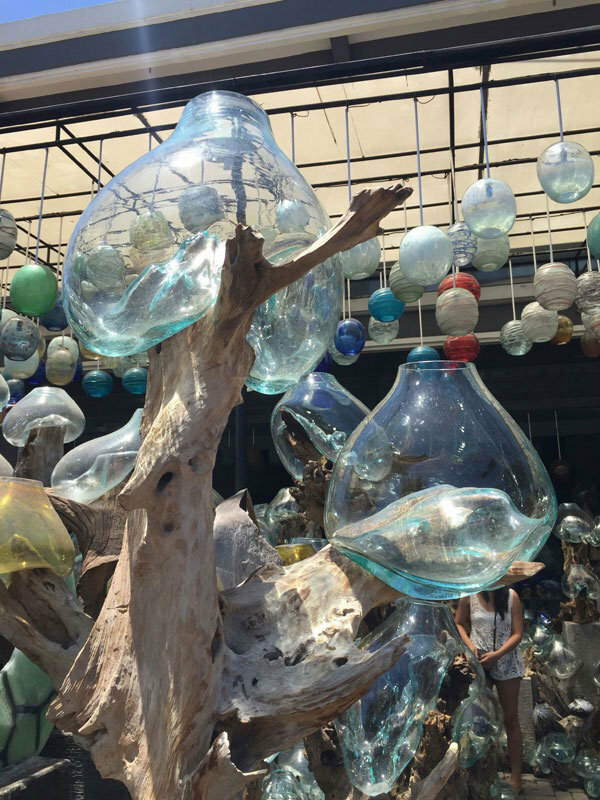 With that said, here’s our roundup of the best furniture and homeware shopping to be found in Bali! 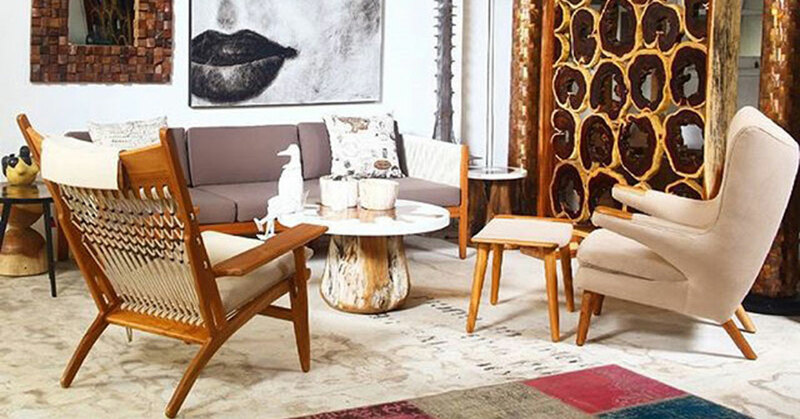 From the already popular ones like Toko Emporium, to the lesser known ones like Tamara Danielle – read on and check out these best places to get your gorgeous new home pieces. 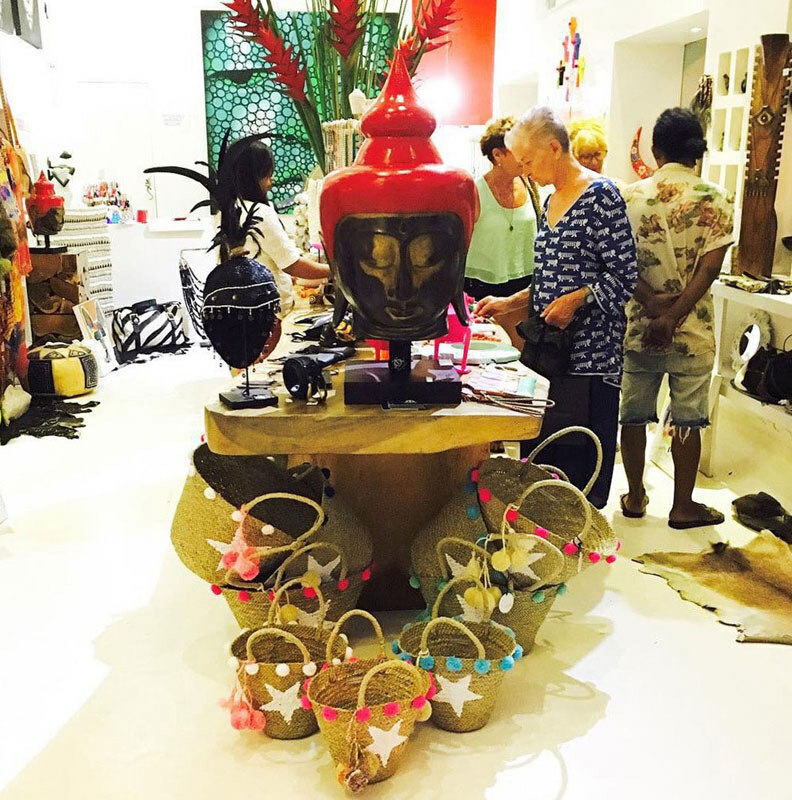 PS: Apart from furnishings and homeware items, there are even gorgeous handmade beaded shell bags and clutches, colourful kaftans, and intricate accessories. Ahh Tamara Danielle. Where do we begin? 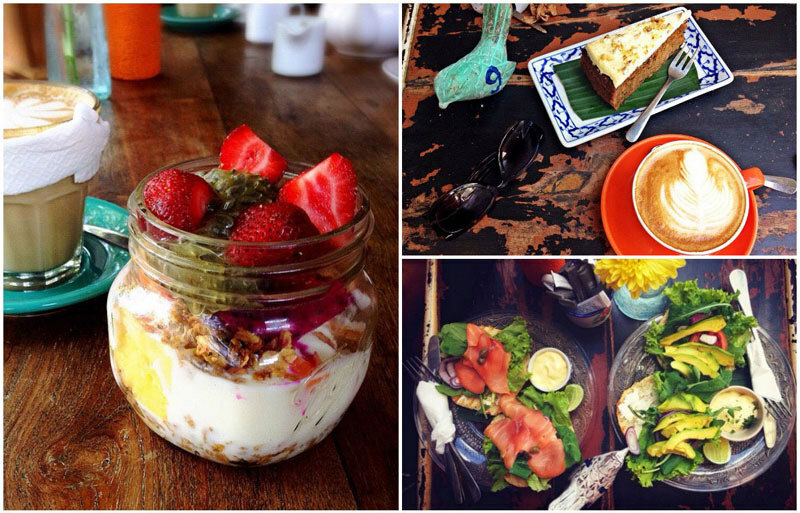 First, we only stumbled on this treasure of a find while strolling down the main streets of Ubud. And interestingly enough, a visit to Tamara Danielle is akin to a treasure hunt. There’s just so much on offer, and all of them have a certain charm you can’t resist. 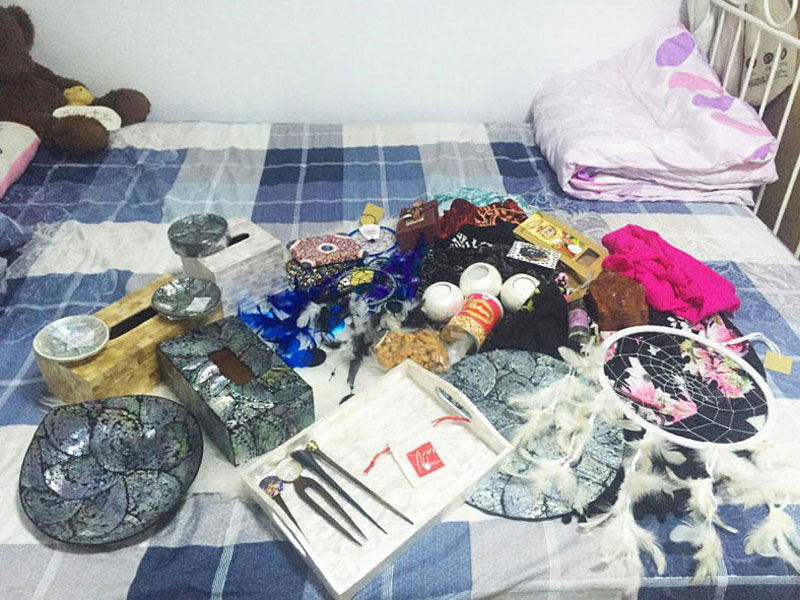 You can’t help but to discipline yourself, and sift through every single item, until you find that one thing you simply have to have. 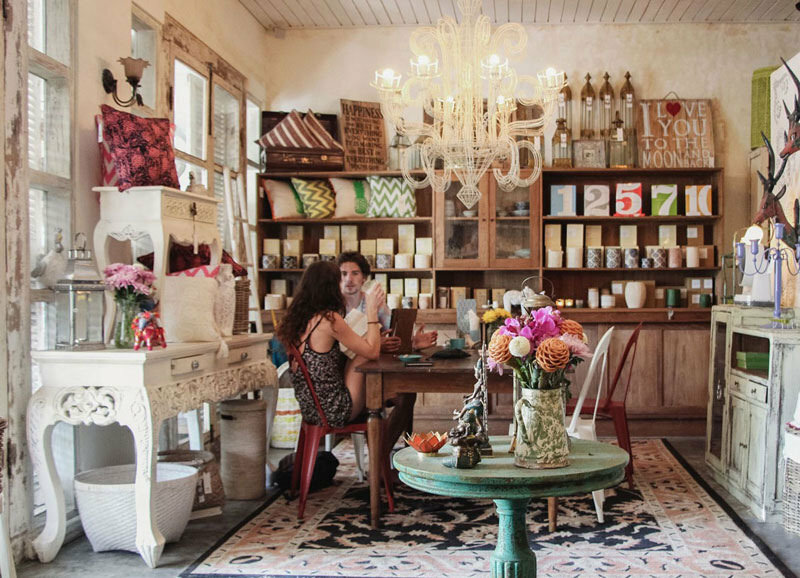 A mixture of vintage and eclecticism, Tamara Danielle feels very much like they have anything you could possibly want, if you’d like your home to look a little like that hip café you love. There are many vintage beachy signboards with the most amazing quotes, or even old-school posters such as the ones by Coke, Campbell and more. All we have left to say is – let the hunt begin. 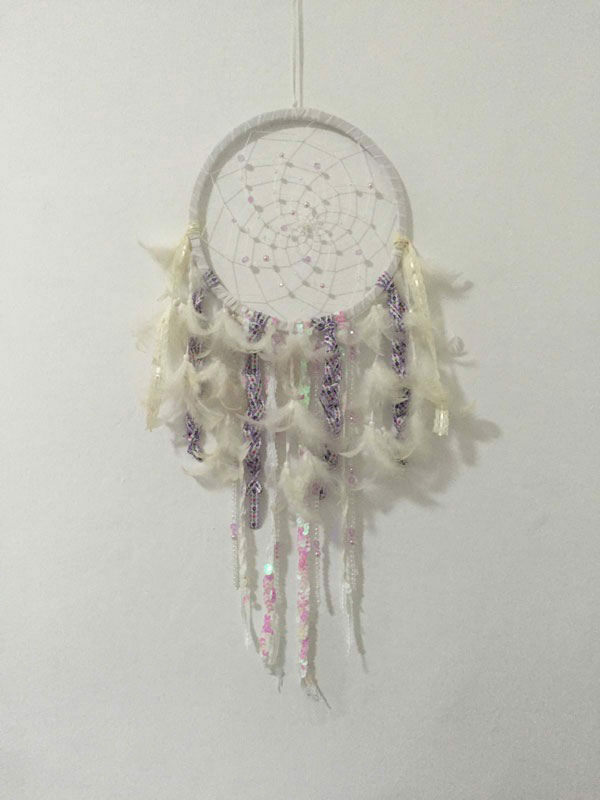 This wholesale supplier is where it’s at with more than 36 years of experience in manufacturing truly stunning pieces. 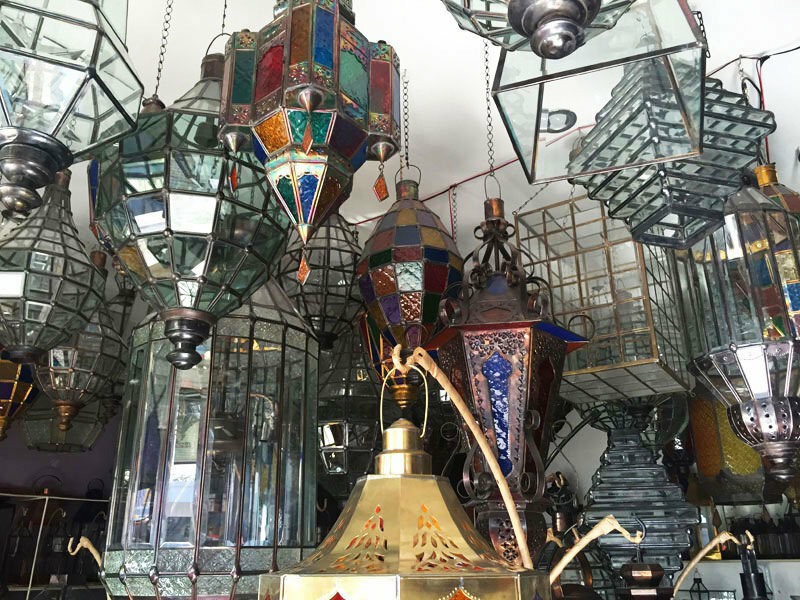 By simply visiting their website, the catalogues provide a promising preview of the incredible finds you can expect to discover when you’re furniture shopping with them in Bali. 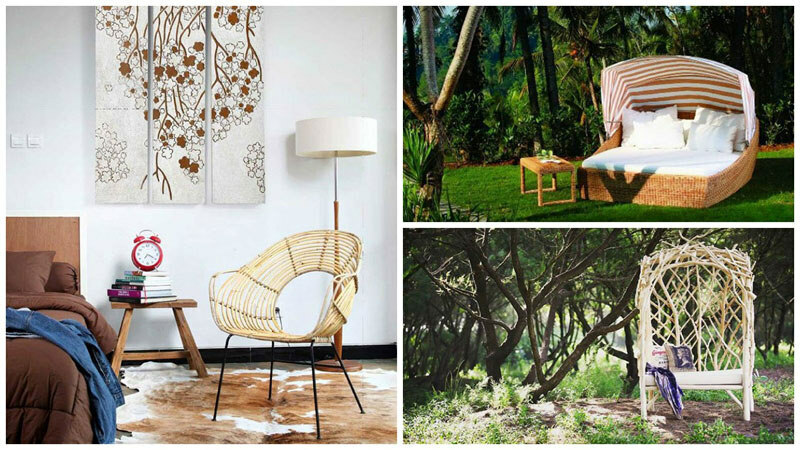 With catalogues that look uber polished with well-designed spaces (gives off vibes of a Balinese Ikea perhaps? 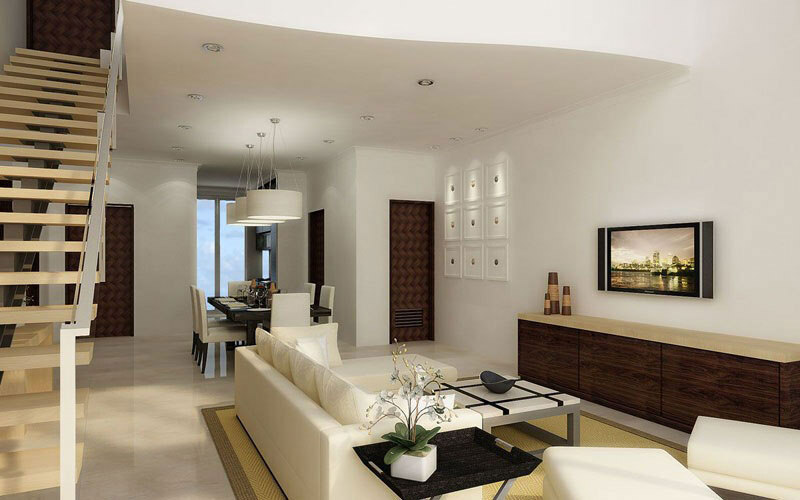 ), there are different types of furniture available for every type of space – and décor and lighting are available too. 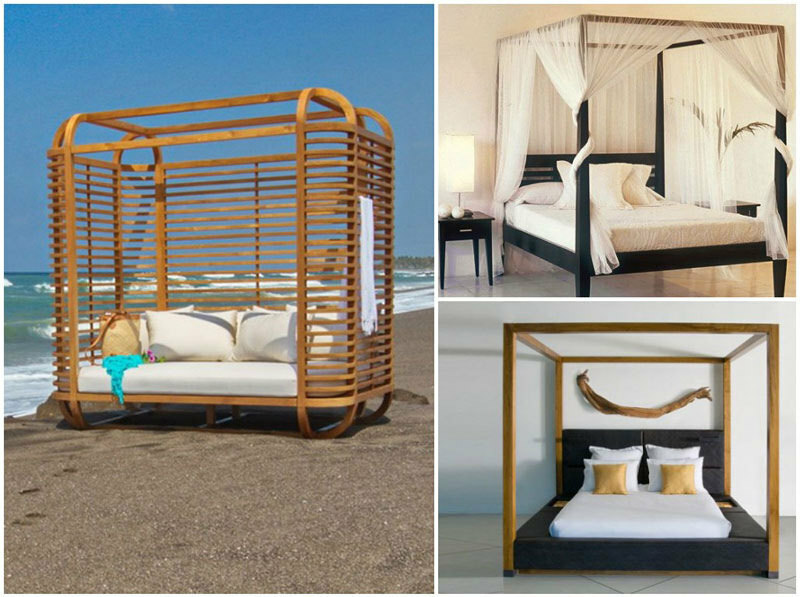 One thing to note, Lio Collection is famous for their rattan and bamboo furniture collection, so make sure to check those out especially if you’re in the market for it! 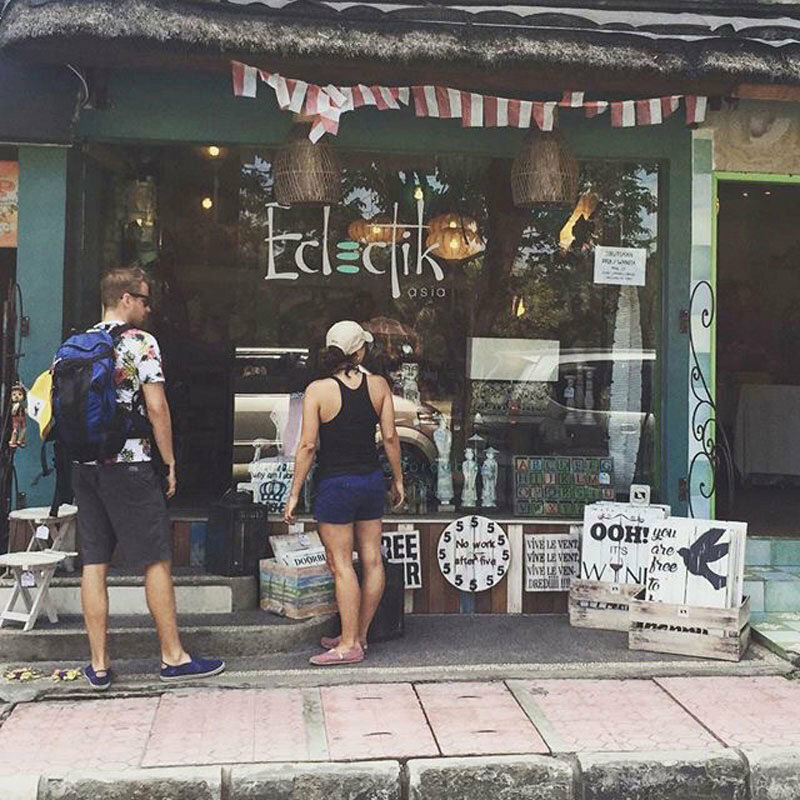 Boasting homemade products and wholesale prices, Eclectik popped up on our radar during our stroll along Ubud’s famed Monkey Forest Road. First, the signs propped outside the storefront caught our eyes with cheeky quotes like “No work after 5”, “Oooh! It’s Wine ‘O’ Clock”. After taking a second look at the storefront, we knew we simply had to go in to see what was on offer. 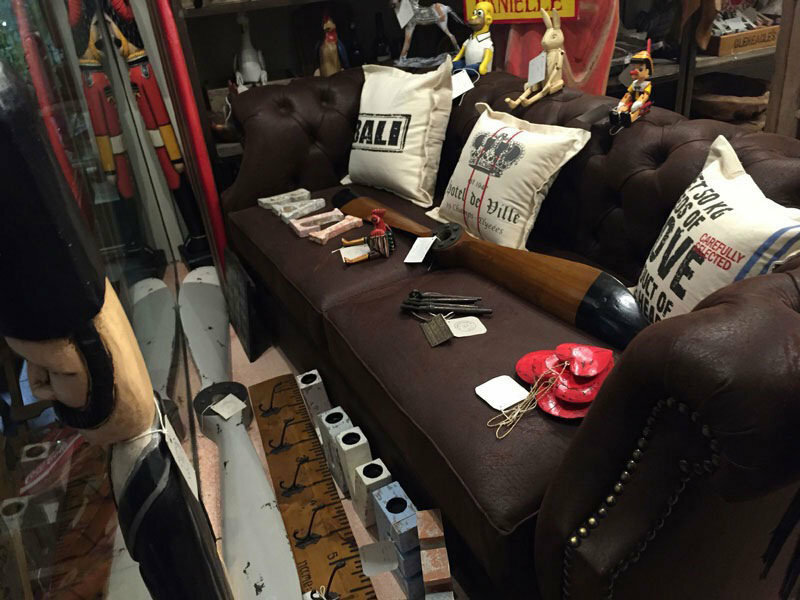 It’s a great place to source for antiques and vintage items. 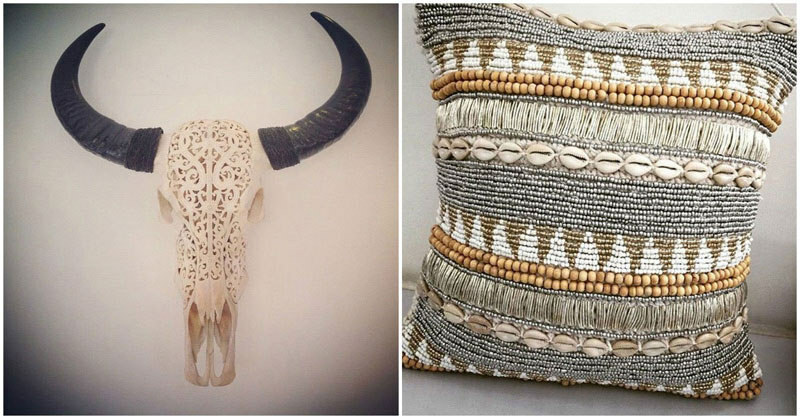 And it’s not limited to small homeware products like sculptures or interesting signs. 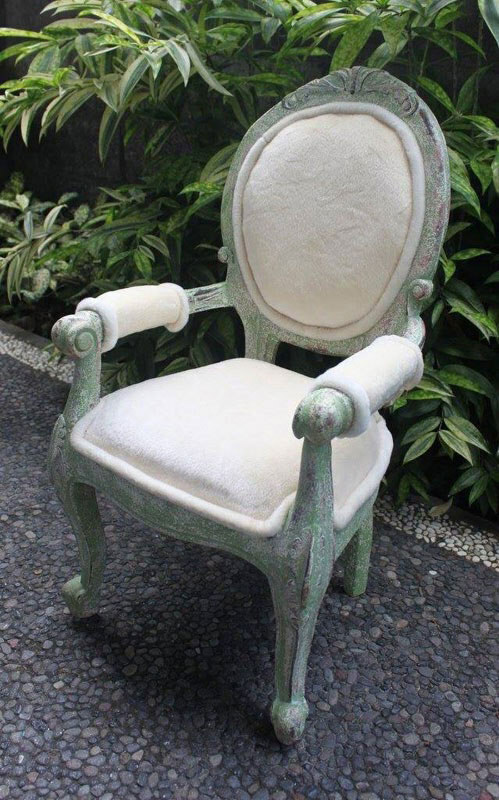 There are even antique chairs fit for princes and princesses! Overall, Eclectik gives off vibes similar to Tamara Danielle. While the tastes on display are similar, you can be sure that the products available are pretty different. Either way, both shops are on the same Monkey Forest Road, so it won’t hurt coming in for a peep! 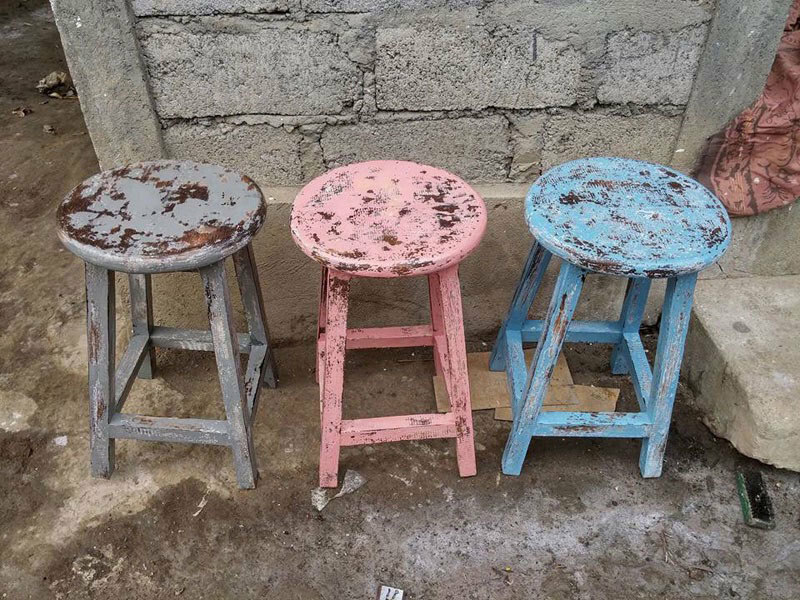 At Cempaka, one thing we especially appreciate is how everyday life in Bali gets artfully translated into superbly designed furniture for everyday use. 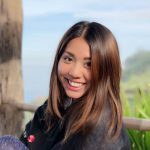 “In terms of design inspiration, we draw on the daily experience of living in this awe-inspiring archipelago – the intricate weave of a basket used to transport goods to market to the complex carving seen on Balinese temple doors. 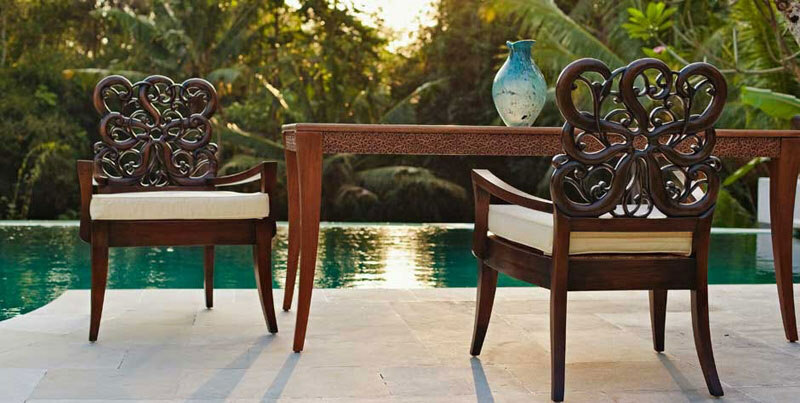 Traditional wood chairs with intricately carved backs, or Balinese lounges with sleek lines, Cempaka’s furniture will help you to recreate your Bali vacation right at home. 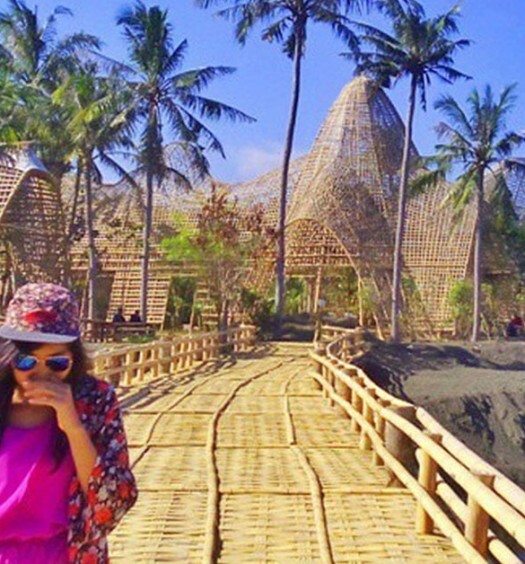 And if you think we’re kidding about recreating your Bali vacation – we’re really not. 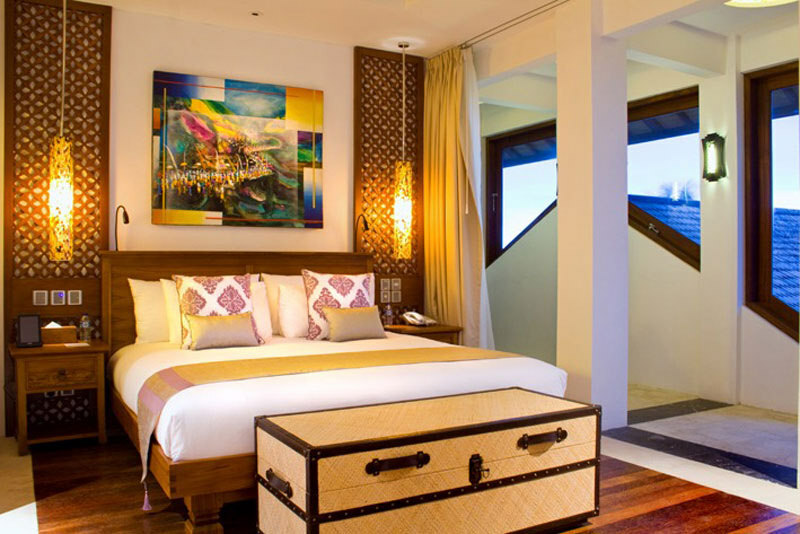 Cempaka has helped to furnish popular hotels and resorts like Alila Resort, Novotel Bali, and Nusa Dua Beach Hotel & Spa to name a few! 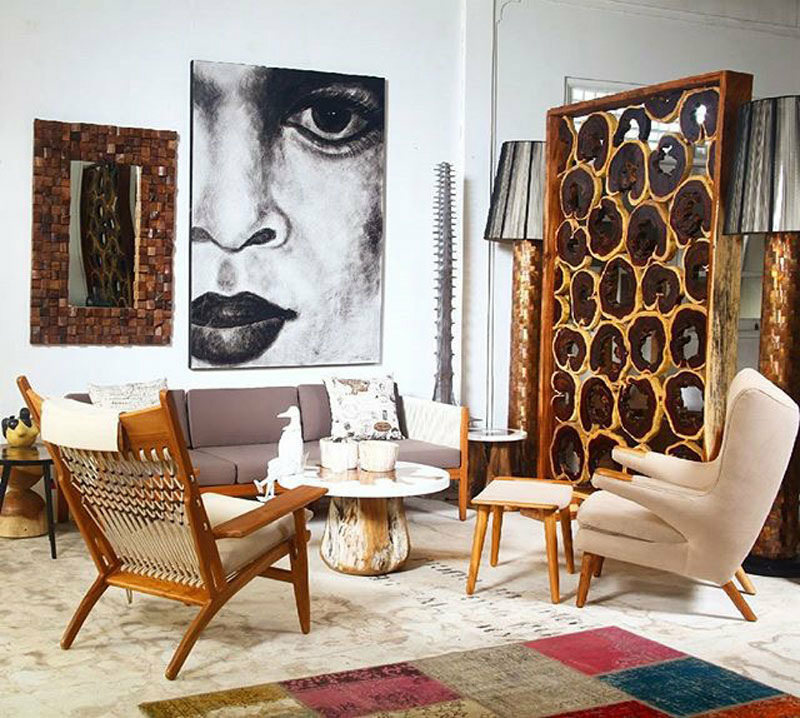 So now you know, shop at Cempaka for your furniture needs, and you’ll have a very nice home that will constantly remind you of your relaxing and oh-so-amazing Bali holidays. If you’ve ever watched Youtuber Mr Kate, and admire her eclectic interior decorating style, well… This is the place for you. 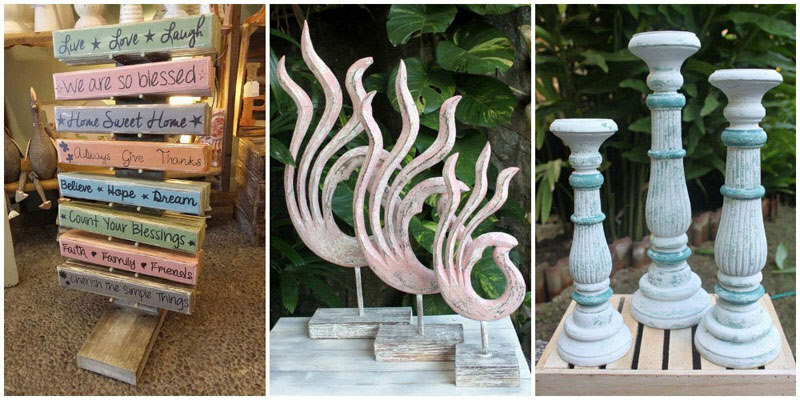 There’s a ton of different traditional Balinese furniture at Warisan, ranging from soft furniture to art furniture, and even modern pieces to suit your taste. 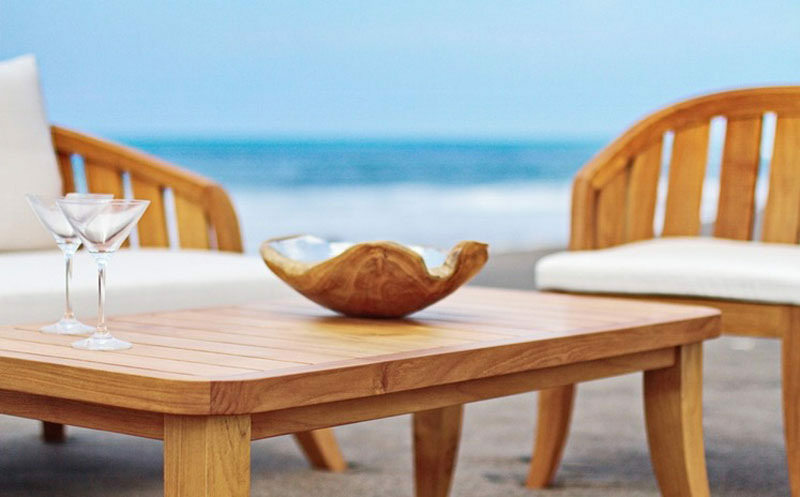 Warisan’s in-house designers and craftsmen are known to create quality furniture oozing with that unique Balinese creativity we know and love! 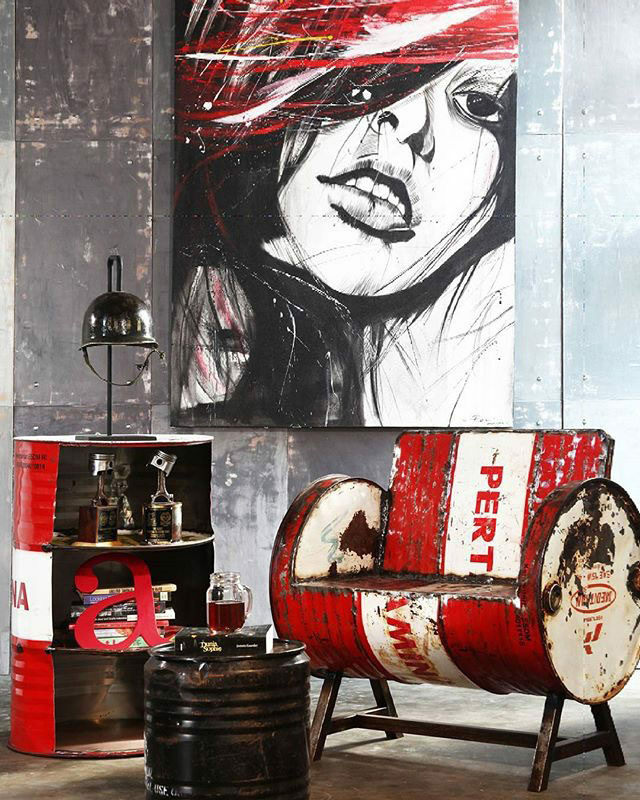 Apart from the furniture, there are other homewares simply waiting for your discovery. 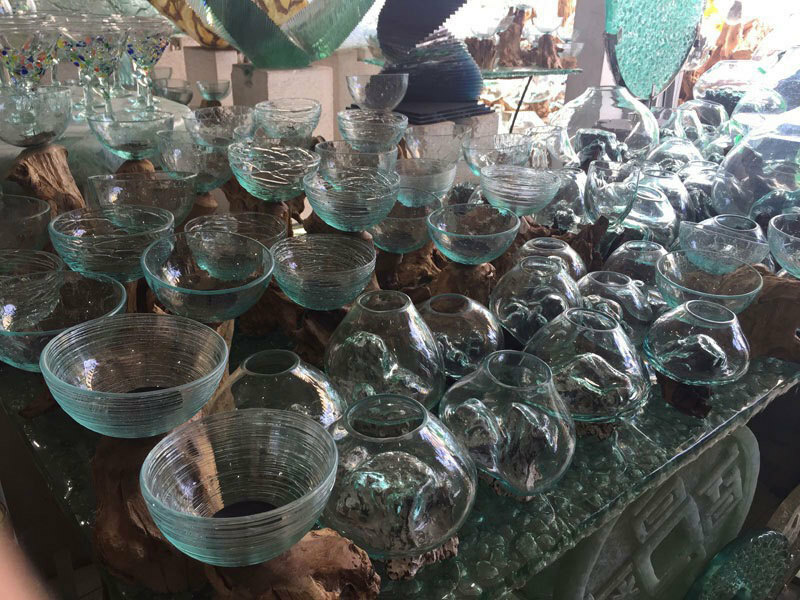 Get some wooden ethnic bowls, or mix it up with different metal sculptures – your home will look entirely designer, courtesy of Warisan’s well-received offerings. We spent about 3 hours here, and only managed to walk around the first main building where the carpark was (both first and second storey), and explored the lengths of 3 sides of a second block (inside and out). We Ok fine, I snapped up sooo many of these, all for the unbelievable price of under $30. 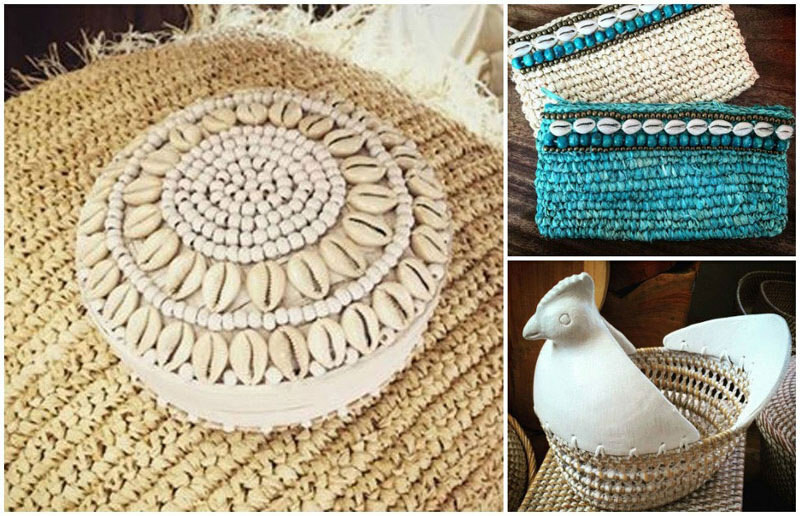 From abalone bowls to mother-of-pearl trays, and even pearl tissue boxes… I went crazy at the sight of all these deliciously mermaidy things – and I don’t regret it. 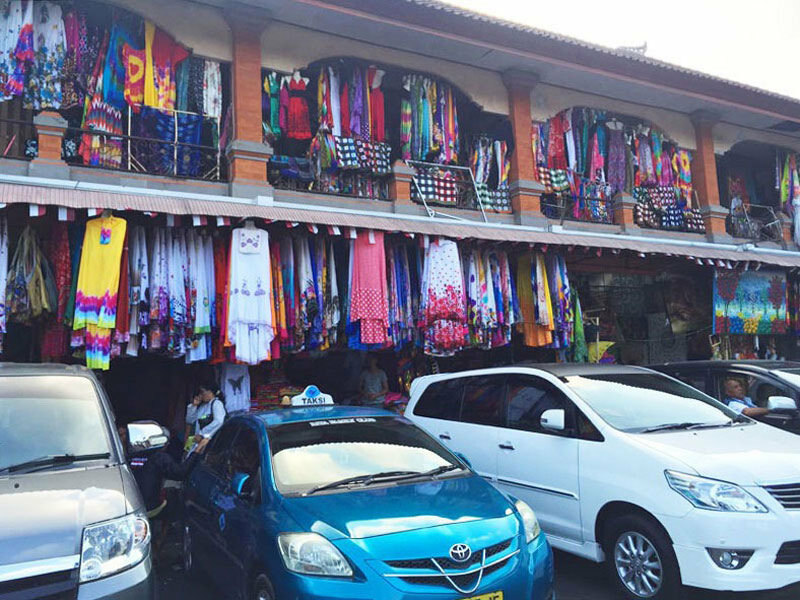 Enough raving, apart from that, there are also those popular comfortable batik pants, dresses, wooden sculptures, handmade bags, and so much more! 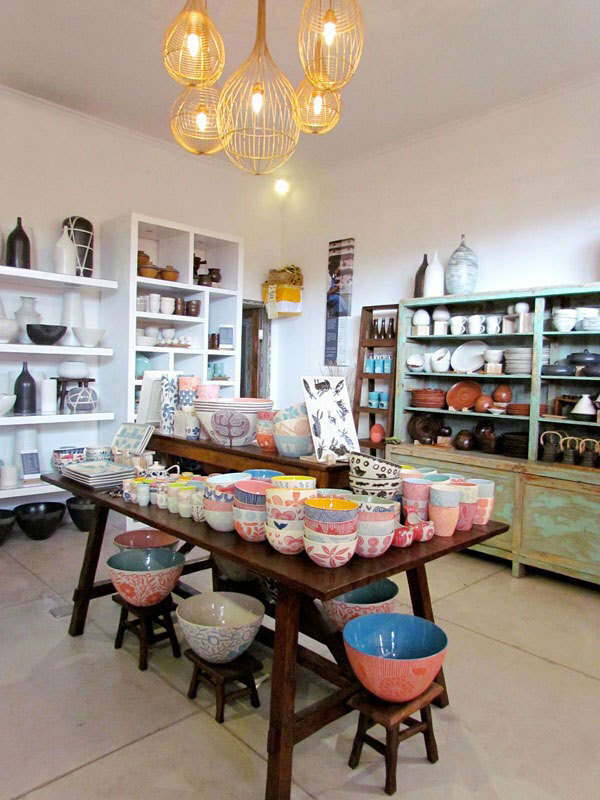 Kevala which means “perfect, whole, complete” is the perfect place to get designer-worthy crockery. 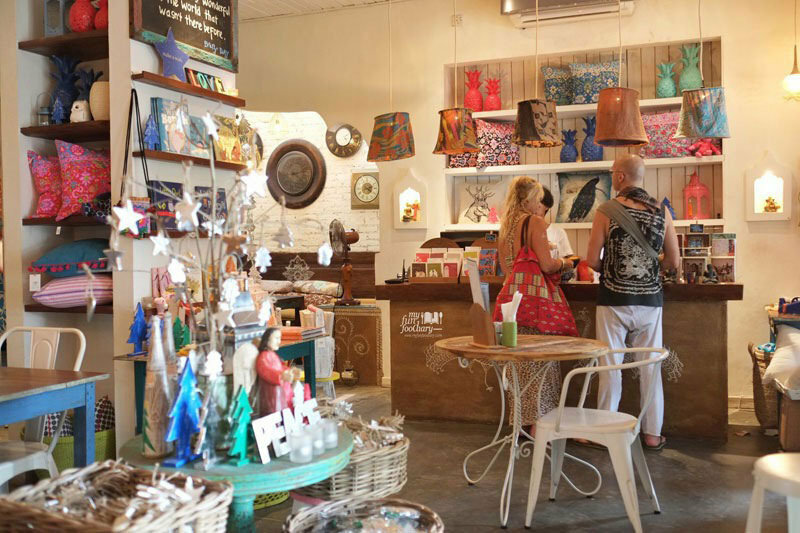 With retail spaces all over Bali (Ubud, Seminyak, Sanur, Nusa Dua, Karangasem, Uluwatu, and Batu Bulan), you know they’re much loved and worth a visit. 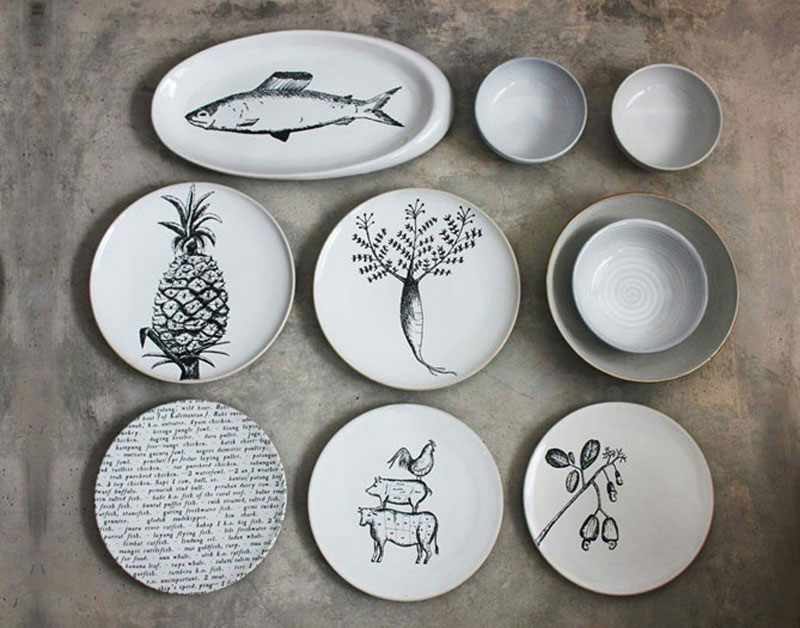 Lovingly designed and handmade by local artisans, Kevala’s hand-crafted ceramics with their refined prints and unique textures will make great conversation starters at your next dinner party. 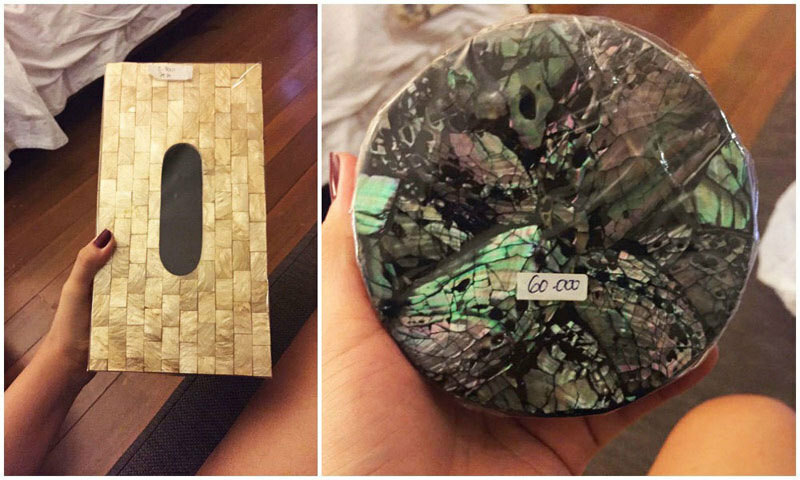 While some people don’t place much focus on their crockery, did you know it’s one of the subtlest ways to introduce textures and patterns into your home? 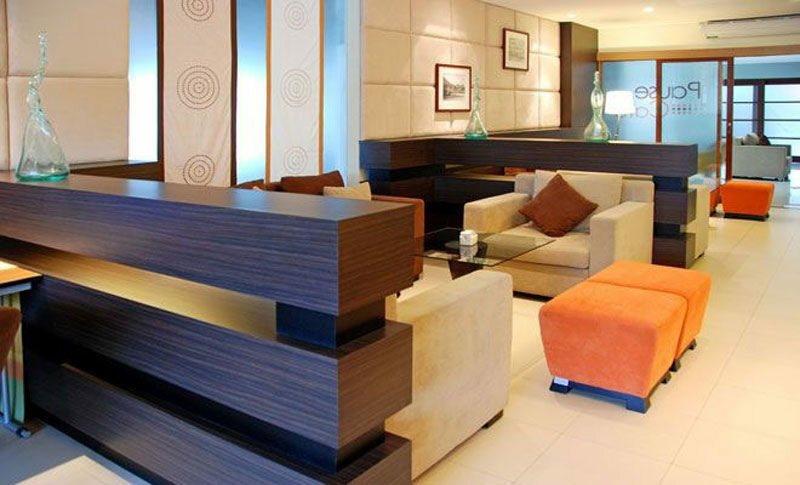 Kevala is one of the few places we’ve managed to find with such upscale quality and designs – so make sure to pay Kevala a visit when you come over! You won’t regret picking up a piece or two. 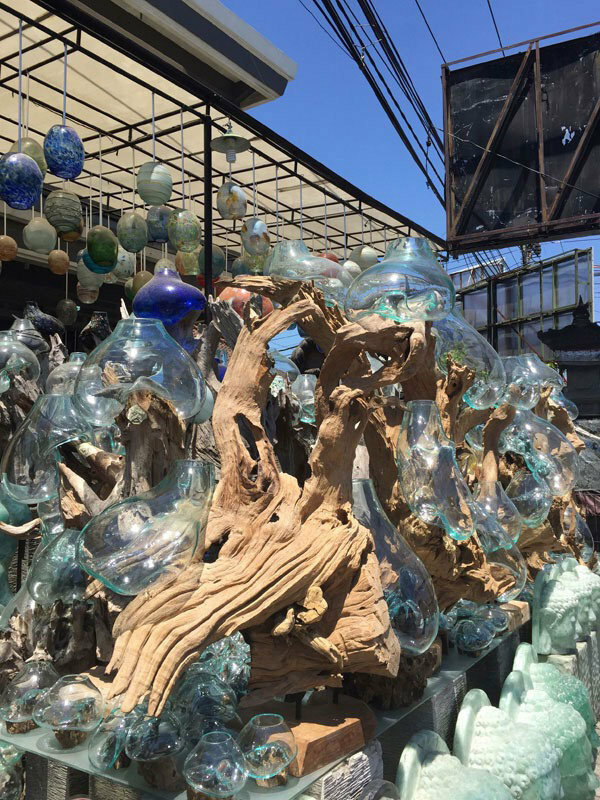 If you love having some elements of nature (i.e., water and wood) in your home, then you’ll adore these fluid designs (glass globes melted over tree stumps and branches) – and you really, really have to come here. 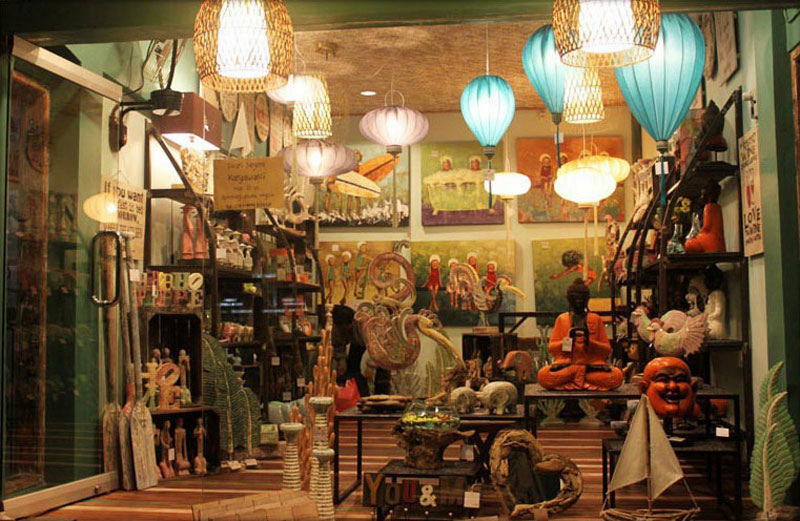 Another one of the shops we stumbled on, Nadita Dewata’s light and candle holders are whimsical and gorgeous. 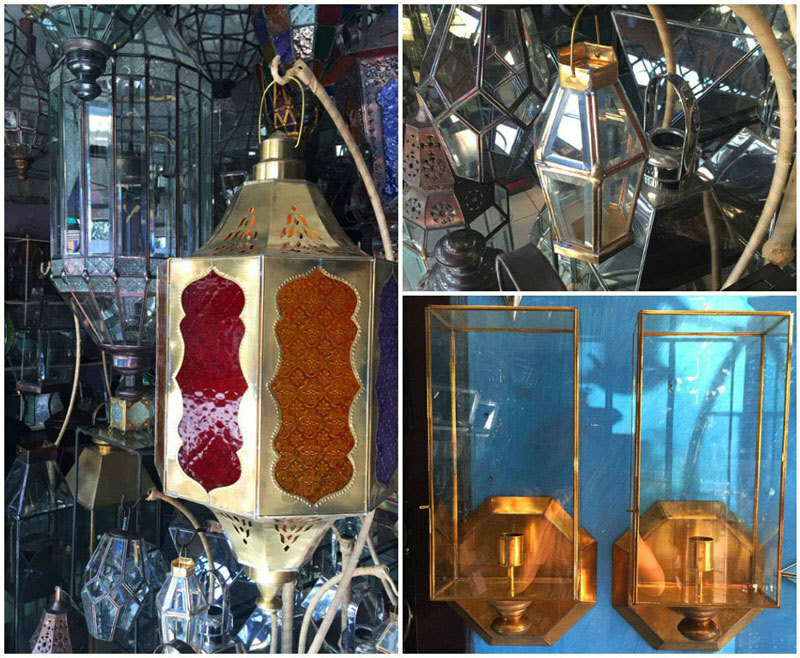 Available in mixed metals from gold to brass, and complete with crisp glass cases – there are styles for every mood or theme – ranging from Moroccan lamps to minimalist gold light cases, and the prettiest candle holders to spruce up any room. 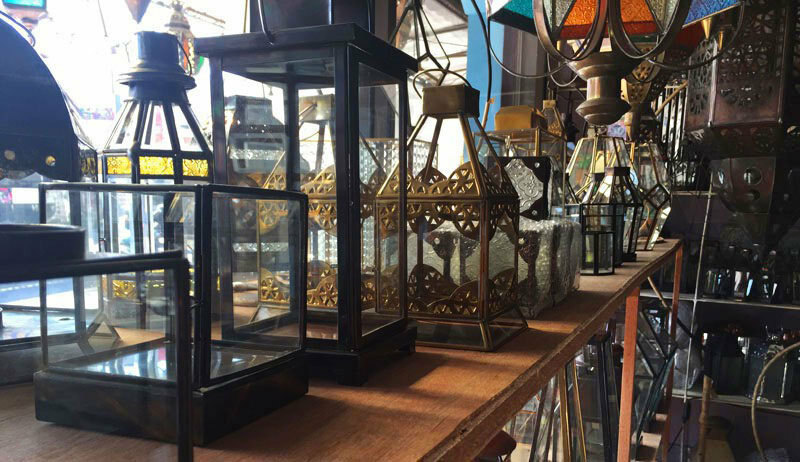 Wander through the aisles and you’ll discover different designs and patterned light and candle holders. We would have totally bought some of the goods here, had it not been for our already overflowing luggages! 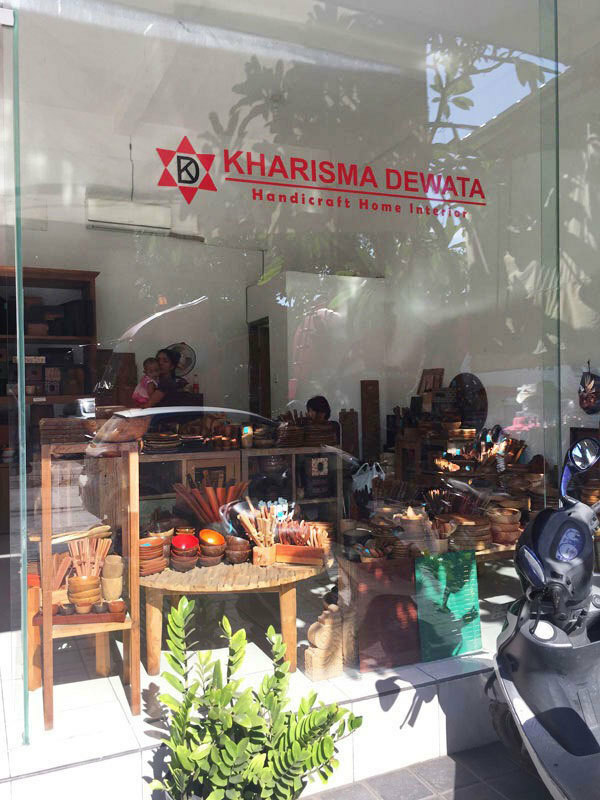 One thing to know, Nadita Dewata offers a made to order service. 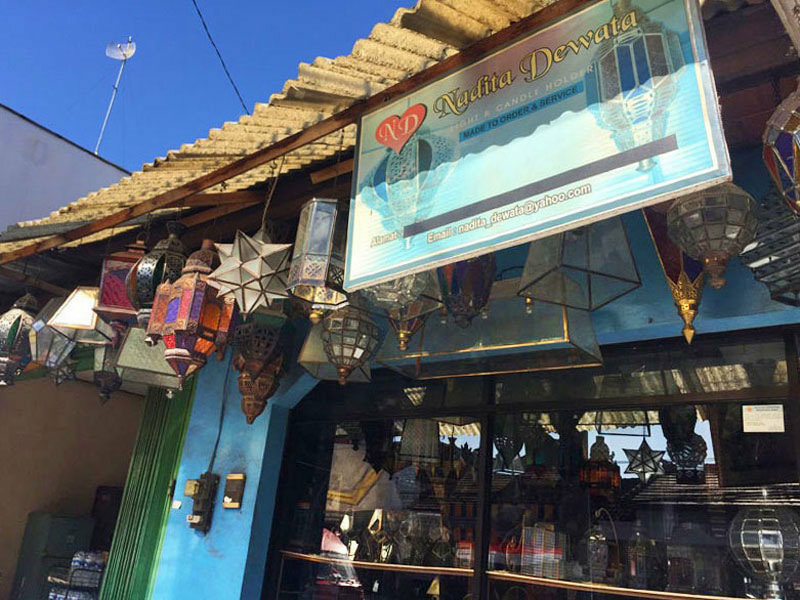 If nothing you see in the shop suits what you’re looking for, you may always strike up conversation with Arri, the lady at the shop – to see how you may work together to create the light or candle holder you want. 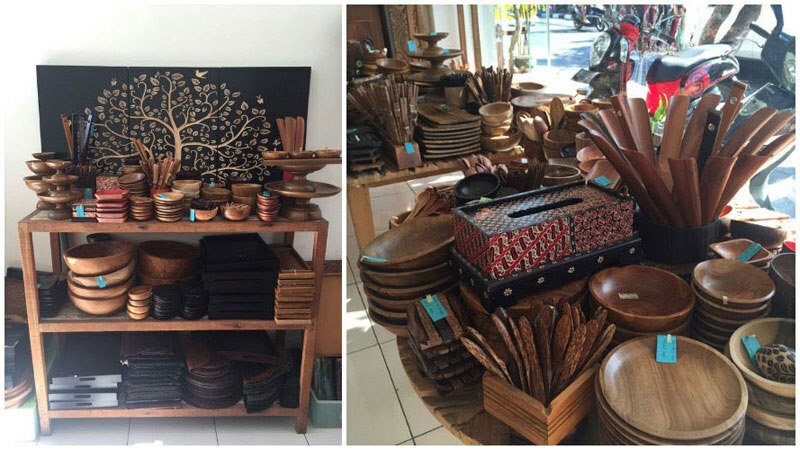 Situated close to Nadita Dewata, Kharisma Dewata provides a wide assortment of handcrafted wood homeware. 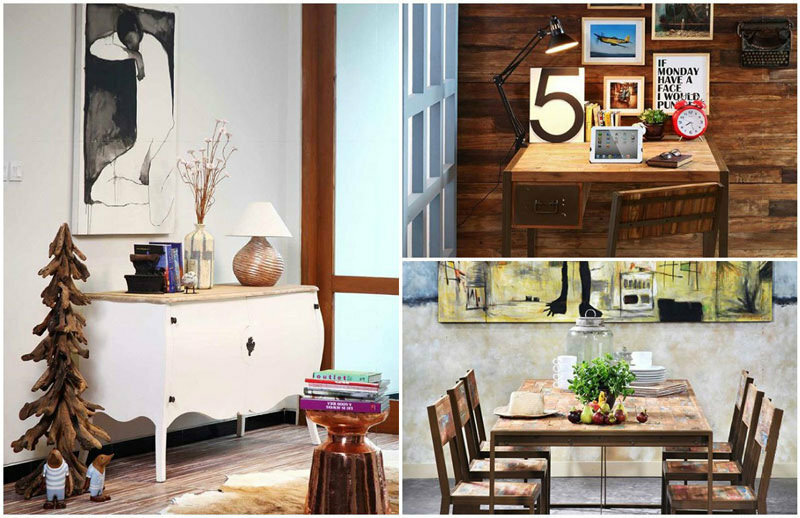 If you’d like to decorate your home with wood accents, you may go furniture shopping here. 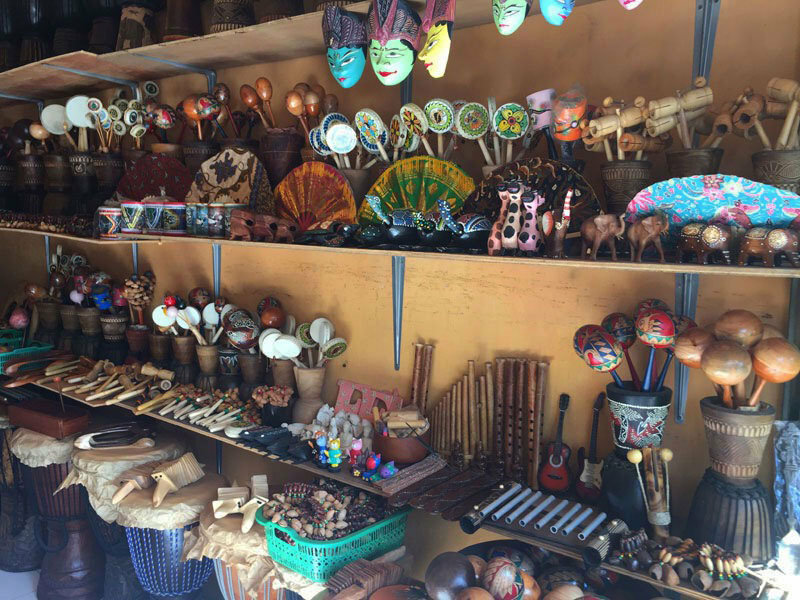 If not, you can also find wooden bowls, spoons, sculptures and more! 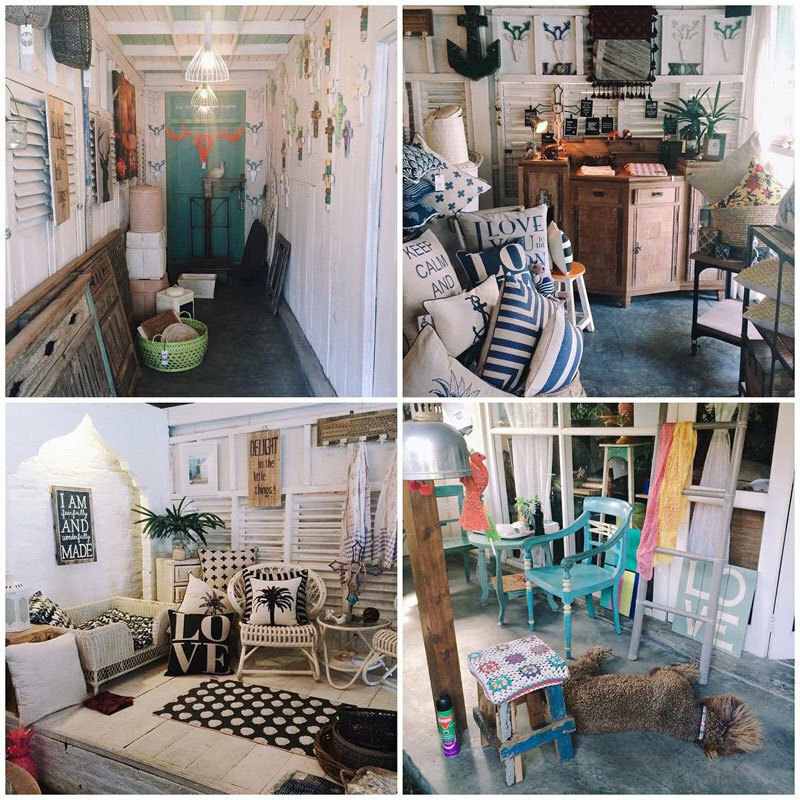 There’s a delightfully Balinese charm oozing from the humble facade of the shop interiors. 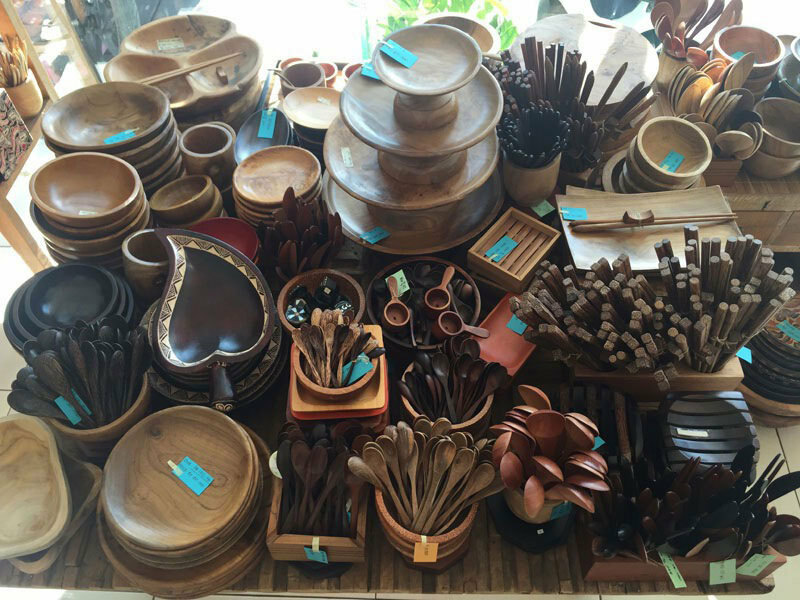 Upon closer look, you’ll find that the wood products have a simple, uniquely Balinese charm too. 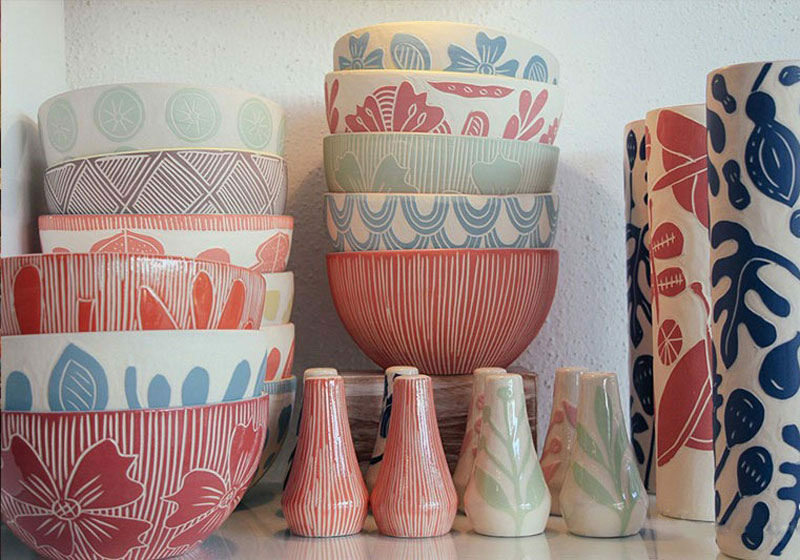 Oddly shaped shallow bowls for decorating countertops (or for keeping bits and bobs like your keys in), elevated cake tiers, chopstick sets, and many others. 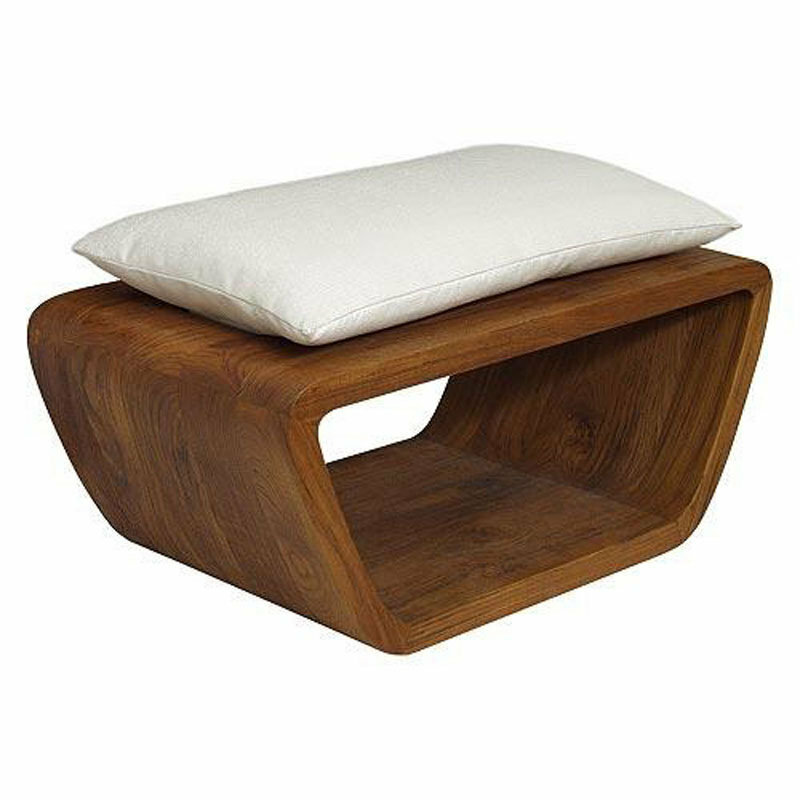 The wood designs would go very well with a resort-styled home, or one with a nature meets minimalist theme. Make your way over and pick up a purchase or two! 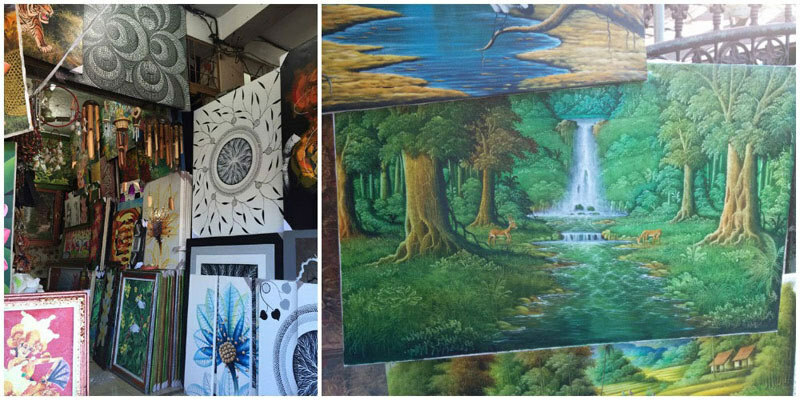 While it’s not a dedicated furniture nor homeware shop, and is instead, an art supply store – you will not want to miss this. 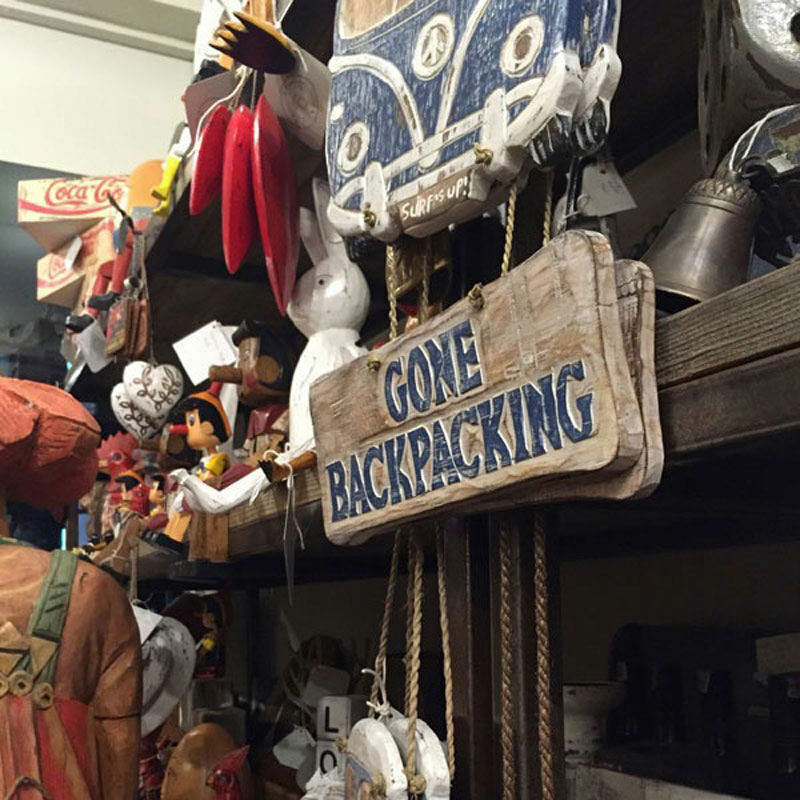 This shop is one of those places where if you know, you know – and if you don’t, just too bad. 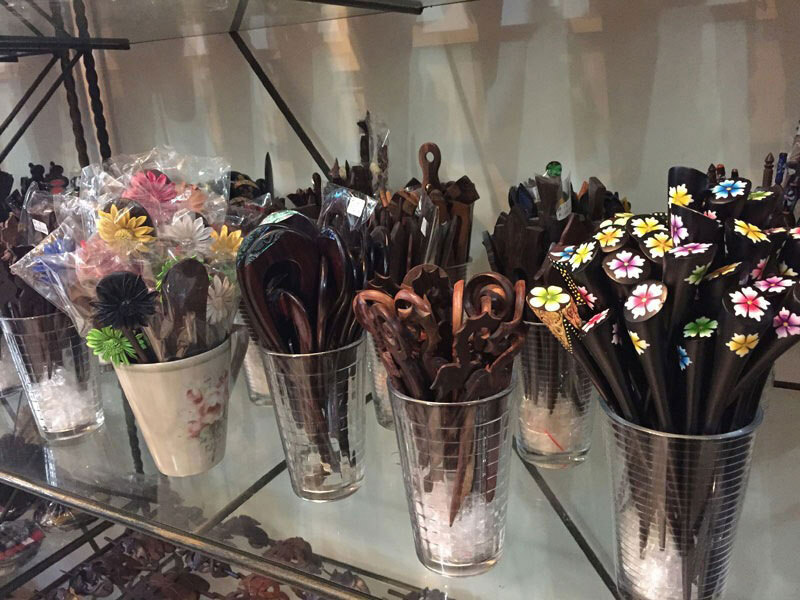 The first thing you’ll see upon entering, are rows and rows of hair sticks. 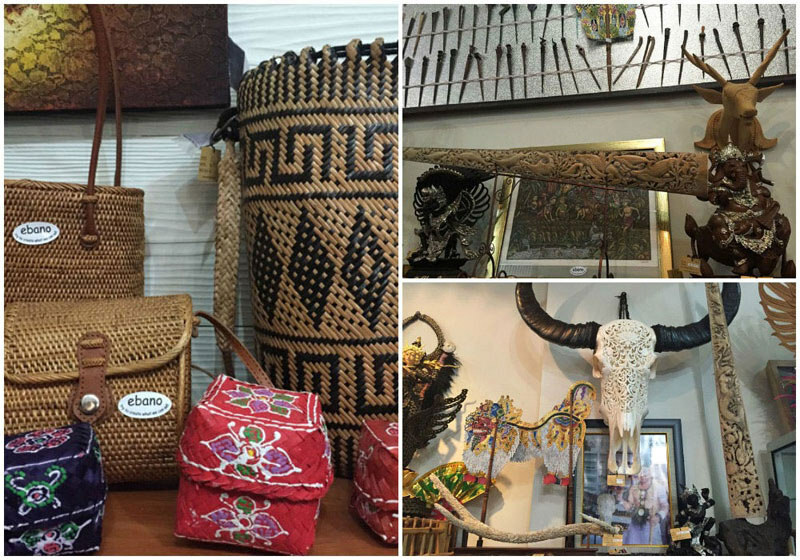 Apart from those, the main thing relevant to the furniture and homeware shoppers, are the hand-carved ebony products available here – intricate ebony sculptures just waiting for you to bring home. 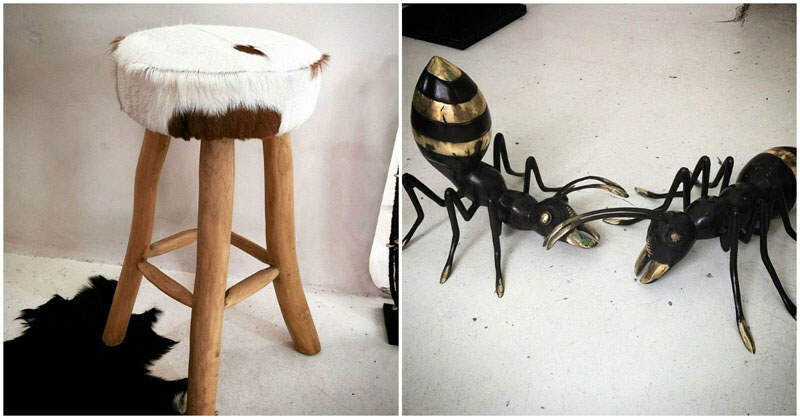 A new addition for your coffee table setting, or simply something to dress up your wall or shelves, it’s super fun walking into Ebano just to check out the latest goods on offer. 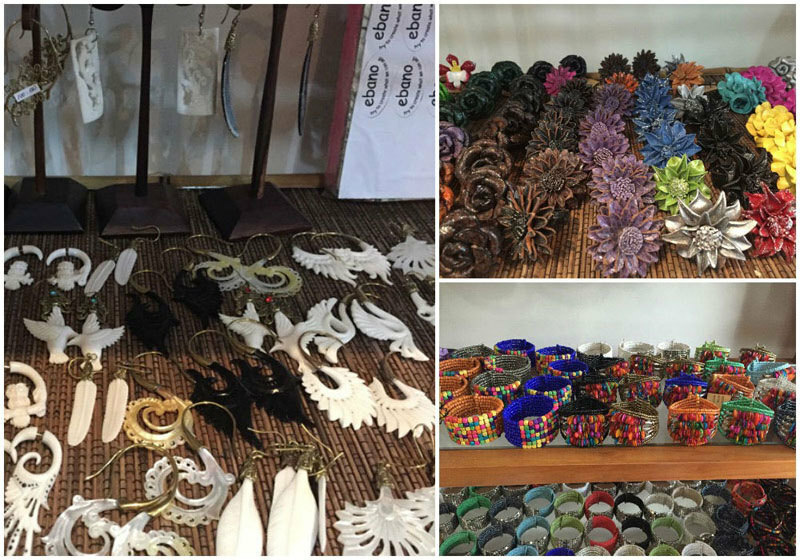 PS: Ladies, make sure to grab your hair accessories here, they’re the best prices we’ve found around town! And if you’re feeling up to making your own jewellery, the supplies here are perfect to see you through your very first handmade accessory! 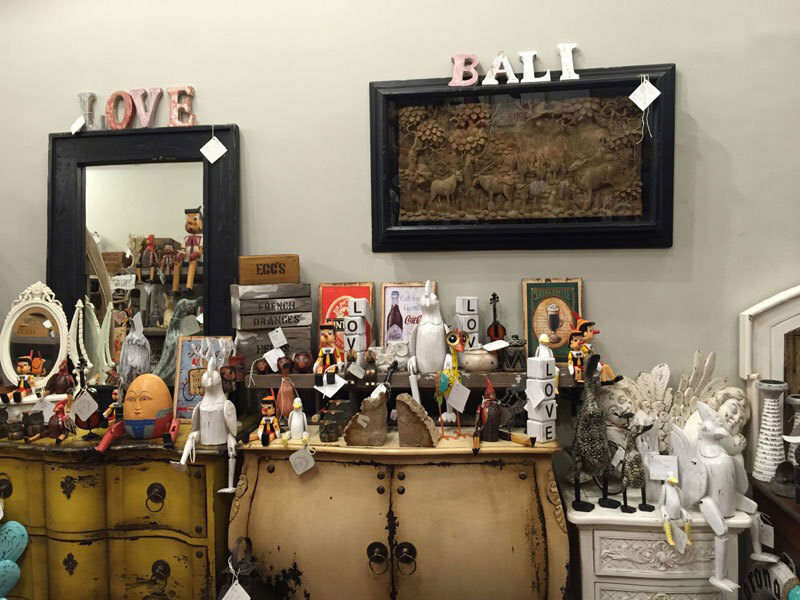 Are there any more great places to do furniture and homeware shopping in Bali? Comment below to let us know! 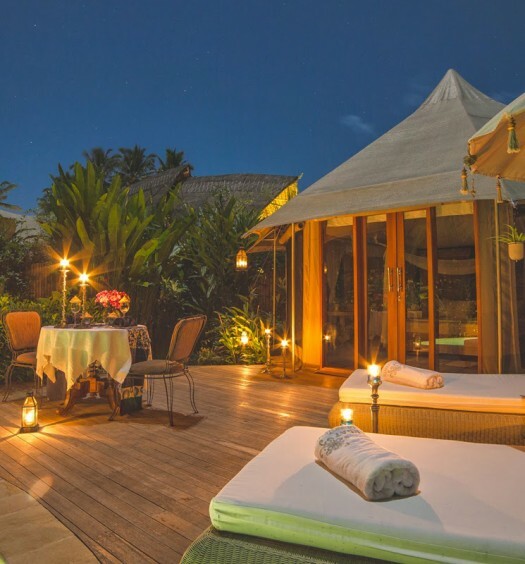 Glamorous Camping in Bali: 7 Magical Glamping spots where you can sleep under stars in luxury!